Someone has to point this out, so it may as well be me. How do jerks get promoted into leadership positions and more importantly, how do they stay there? Dull Jerks = people who have a low skill level and rather whine, complain and blame instead of looking at their own shortcomings. Brilliant Jerks = people who have a very good skill level (maybe also went to the best schools and universities) but are emotionally unstable (often bullies) and insecure, and like to make sure that everyone knows that he/she is the smartest person in the room. 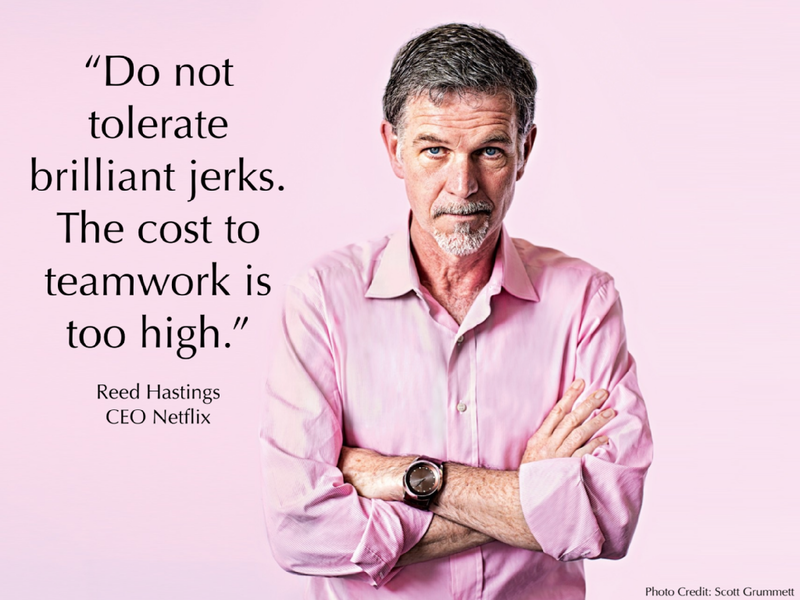 Pretending Jerks = people who have excellent skills but think that they have to be jerks (based on past experience and observation, maybe had bad role models) in order to be a respected manager who brings results. There is definitely hope for group 1 and 3. If they have the opportunity to learn and grow, they will become aware of things that they didn’t know before and they will change their way of thinking, their attitude and their behaviour. Group 2 can be a real concern in any team environment (especially if they are in a managerial role) because they are too smart for their own good. Many of these brilliant jerks have the “destination disease” (they think they have arrived) and they believe that they have nothing left to learn (arrogance and ignorance). Relax. YOU don’t fall into any of these categories, otherwise you wouldn’t read my messages day after day. YOU don’t take jerks personally. YOU do not allow their behaviour to influence your behaviour – you decide what kind of person you want to be. YOU create as much emotional and physical distance between you and them as you can. Jerks do not deserve our reaction. Smile, be kind and set your boundaries. Remember, YOU are in control of your emotional response.